Build your ideal outdoor sectional sofa with pieces from the Bondi Collection. The appealing straight profile, rendered in smoothly woven all-weather wicker, makes a visual promise of comfort that this outdoor wicker sectional delivers with its generous, supportive cushions. 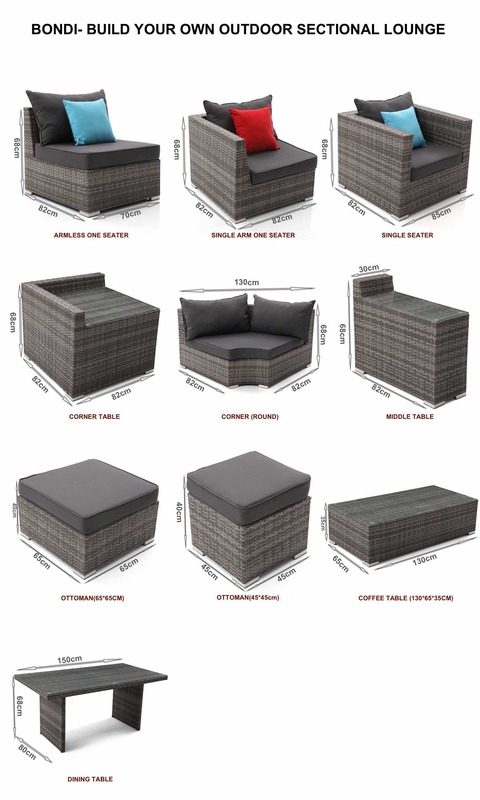 Select from a variety of sectional pieces to design the perfect seating solution for your outdoor space. Frame: The frame we use to support the rattan is made of powder coated aluminium frame to keep each piece mobile and rust free. Our outdoor products are constructed of 1.5mm and 1.8mm thick aluminium, being stronger than the traditional frame with only 1.0mm thick tube. 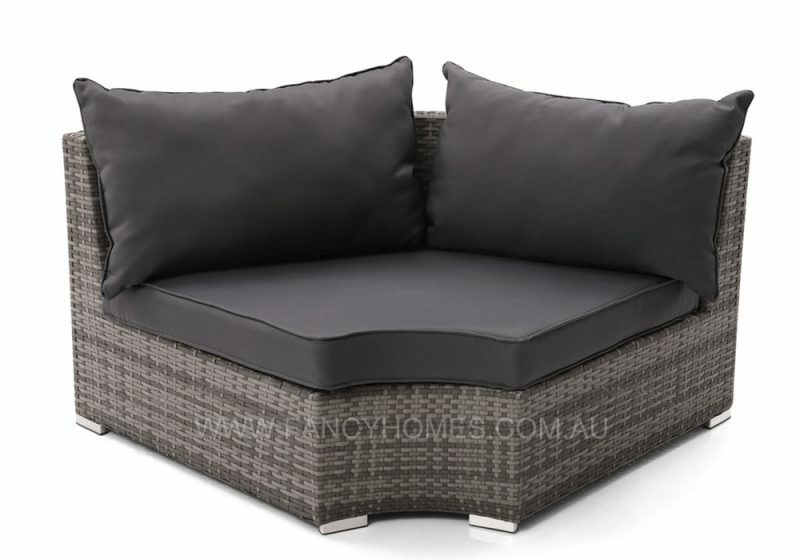 Rattan(Wicker)- The rattan we use for Bondi product is the high-performance synthetic PE wicker. Unlike the traditional rattan, PE rattan is light but endure for Bend, ageing and UV radiation. It is UV resistant and waterproof; it is not sensitive to the temperature fluctuations. Guarantee the colour quality, our rattan is dyed and will not fade away. Cushion: The thickness of the Bondi seat cushions is 10cm, which delivering the perfect balance of comfort and durability. All back and seat cushions are finished with a piped edge. Fabric: The fabric used on the cushions is made from a high-quality UV and water resistant outdoor fabric.